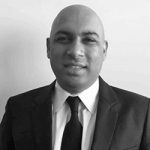 Mr. Sheikh has over 10 years of experience in the Baltimore construction and development fields, with a particular focus on adaptive reuse. Mr. Sheikh oversees PSG general contracting division and is focused on design-building PSG’s projects. Mr. Sheikh holds a B.S. in Economics from the University of Maryland.